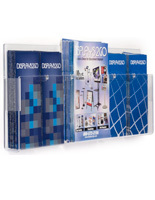 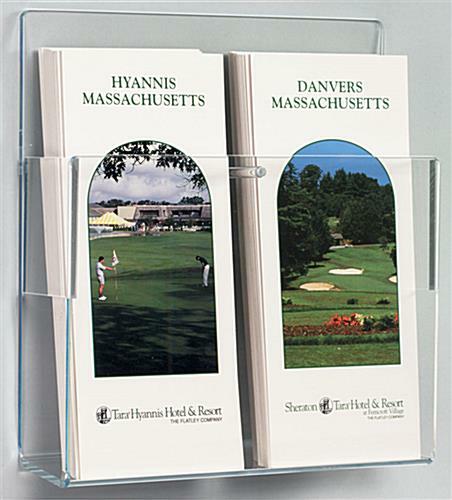 This professional 2-pocket magazine holder offers two display options for documents. 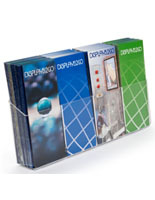 This brochure for an office has a clear acrylic design, providing visibility of publications to readers, effortlessly! 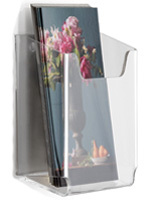 This 2-pocket magazine holder, also known as a trifold stand, has rubberized feet so it stays put on a tabletop! 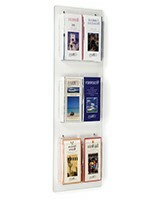 This counter top style is adjustable for storing flyers or newsletters depending on where the slots are positioned. 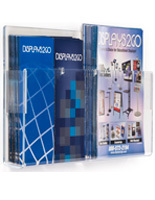 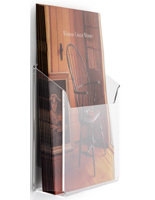 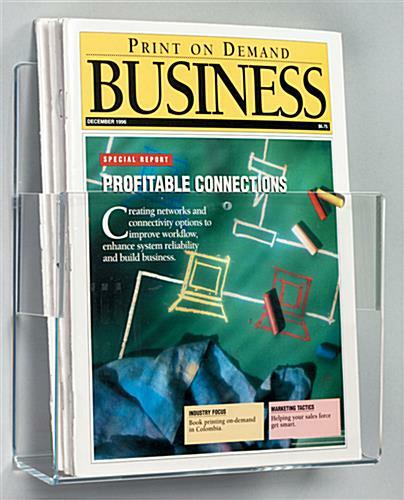 This 2-pocket magazine holder that is a literature rack works in a hospital waiting room or hotel lobby, as well as in various retail or business settings like banks and law offices. 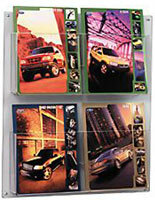 Black end caps add interest to the presentation!